» Console repairs» FAQ - PLEASE READ! So you want to ship us something? If you're reading this, you are considering sending something to us for repair or restoration. We happily accept ship-in units, but we require that the machines be packed to our requirements. These requirements change based on the equipment sent, so read the section for your machine. Ship-in repairs can take longer to process based on our workload, so be patient with us. The will be a repacking fee to repack your machine, which varies based on what kind of machine it is. Please see below for repacking rates. This is included in the shipping bill when we prepare to send the unit back. The cost to ship a machine will be high because of the oversized box, but it will mean the set arrives to us and back to you without damage. Materials charge up to $20 if they are required. Whatever FEDEX charges to ship is what you will be charged plus the above where applicable. FAILURE TO FOLLOW INSTRUCTIONS WILL RESULT IN YOUR SET BEING SET BACK TO YOU ON YOUR DIME! PLEASE READ THIS STUFF! We are receiving large amounts of ship-in units that are packed by the UPS or FEDEX store. Our instructions are not followed and the machines show up with damage, or destroyed. Becuase of this we now have a battle with the carrier and customer over a transport damage claim - rather than repairing the machine sent to us, which is what we want to do in the first place! We provide these instructions for our customers so they can pack and ship their machines safely. Rarely ever do places like the UPS or FEDEX store follow these instructions because the time spent means they lose money! 1. Pack per our instructions (Below). 2. Print and fill out our questionnaire form. Send it with the set. 4. Include a check for $50 made out to Classic Audio Repair, Inc. We will NOT proceed on your machine until we have this in hand. This is our minimum service charge which includes the diagnostic service and applies to whatever estimate we give you to repair your machine. 1. Wrap machine length and girth in 2-3 layers of large-bubble, bubble Wrap. 2. Measure wrapped machine and obtain a box about 5-6 inches larger on all sides than the wrapped unit. 3. Fill the extra space with soft foam chips and tamp down so that boxed up, the machine does not move inside. Shake the box to confirm no movement can be heard or felt. 1. Wrap machine length and girth in 5-6 layers of medium bubble, bubble wrap. 3. Fill the extra space with soft foam chips and tamp down so that boxed up the machine does not move inside. Shake the box to confirm no movement can be heard or felt. 4. Find a box 3-inches larger on all sides than the box you just packed and fill the void with foam chips. Make sure the inner box does not shift or move. This is double-boxing. 1. If there are knobs, remove them. Pack them separate. 2. Cut and fabricate styrafoam clam shells to encase the unit. The goal is to have a styrafoam carton so that no part of the machine is exposed and securely encased. 3. Obtain a box 3-4 inches larger on all sides than the encased unit. 4. Fill the space with polyurethane foam. You will likely have sheets cut for your box. An upholstery shop can do this. 5. Nestle the box into the foam filled container and seal it. 7. fill the void with soft foam chips. Make sure the inner box does not move. The packing techniques vary enormously based on the turntable. Please call us. At this time, we are no longer accepting ship-in reel to reel repairs. If its a receiver, WITH A CASE, it can be packed like you would a moderately sized machine. 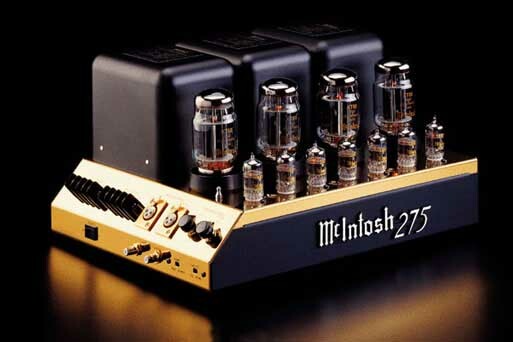 The same can be said for an integrated amplifier or power amp. If you machine DOES NOT HAVE A CASE, please call so we can instruct you on how to safely pack your machine and its tubes. DO NOT SEND US A TUBE UNIT UNCASED WITHOUT FIRST CALLING US, or you'll likely be hearing from us regarding transport damage. These machines are fragile without the case, and often unobtainable parts like IF transformers can get severely damaged or broken - making the repairs even more costly.